Last year I decided to be more purposeful in my Bible reading and time with God. This year, I can say that I really miss my time in the Bible if I skip a morning. Even 15 minutes really makes a difference in how well I respond to what my day throws at me. Last year I realized just how much my Little G loves to be in the kitchen with me. This year, I am going to make sure I remember to involve her even more in the cooking. Last year God reminded me how much He loves us through the beauty of spring. This year, I can’t wait to see what He is going to reveal to me. Last year God reminded me to be still. This year I am going to try harder to remember that I need to rest in Him more. Last year my oldest turned 13 and I officially became a mom of a teenager. This year, my second oldest is turning 13 and then I will be the mom of two teens. Wow, it seems like yesterday they were just little ones. Last year while watching God paint the sunset, I realized that not only is He the greatest artist of all time, He also sings. I can't wait to hear His voice, how about you? This year I look forward to what He will show me while I watch Him paint the skies and trees and the fields. 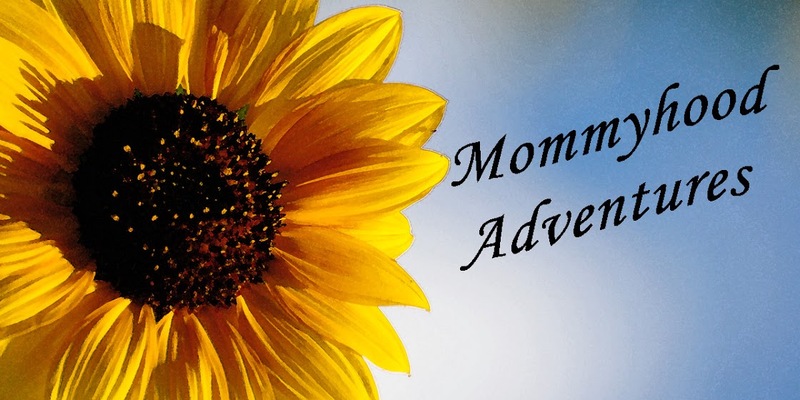 Last year I took the 31 Day challenge and wrote about my homeschooling adventures but didn't quite finish the series. This year, I have no idea if I will take the challenge again but if I do, I plan on finishing by starting earlier. Last year I turned another year older and I remember how blessed I am to have my family. This year, I want to make sure I remember every single day how blessed I am to have my family. Even on the hard days. This year is a great and marvelous adventure waiting to happen. I have plans and ideas of what I want to do but I know that God's plans are so much better than mine. I am not afraid of what the year may bring. There will always be good times and bad times. But no matter what, God is sovereign in it all. God has a story for my life but not just mine, for everyone. My life story impacts those around me in ways I may never know. Joseph had to endure being sold as a slave and then being thrown in prison before he was put into a position where he was able to not only save his family from starvation but a whole country and region. I am not afraid of what life holds. I know that God has it all figured out already. Linking up with P52 Sweet Shot Tuesday. Frost is like the silver lining of clouds, its very cool! Beautiful. What type of flower is this? Love those colors. Believe it or not, this is a weed that is growing in my garden. 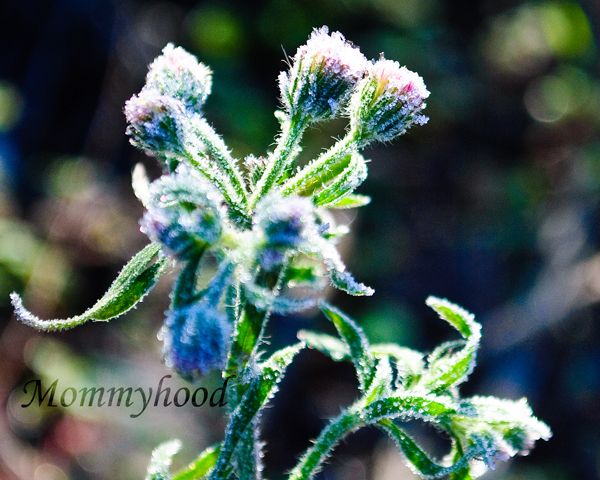 Frost makes weeds look pretty.